NORFOLK, Va., — The Mid-Eastern Athletic Conference (MEAC) announced today the five members of its 2018 Hall of Fame Class. The inductees will be enshrined during an awards brunch on Thursday, March 8, starting with a welcome gathering at 9:30 a.m. at the Sheraton Norfolk Waterside Hotel in Norfolk, Va. 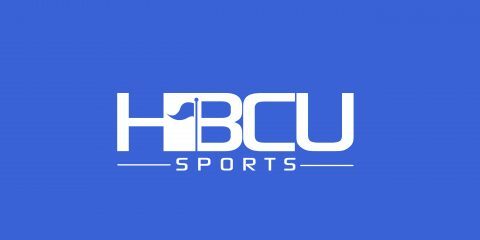 The Hall of Fame class will also be recognized before the 6 p.m. men’s basketball game during the 2018 MEAC Basketball Tournament on March 8 at the Norfolk Scope Arena. The MEAC Hall of Fame highlights former student-athletes, coaches, university and conference administrators, as well as special contributors, who have enriched the legacy of the conference since its inception in 1970. Enshrinees were selected by a 13-person committee made up of administrators and representatives from member institutions. The inaugural Hall of Fame class was inducted on May 29, 1981 during a 10-year anniversary banquet in Greensboro, N.C. Since its establishment, the MEAC Hall of Fame has enshrined 143 people, including the class of 2018. Nick Collins, Bethune-Cookman: Nick Collins was a three-year starter at free safety (2002-04) and the captain of one of the most successful football teams in Wildcats history. Known as a ferocious hitter, the free safety earned All-American and First Team All-MEAC honors when he led the league with six interceptions in 2004. He was inducted into the Bethune-Cookman Athletic Hall of Fame in 2016. He was picked in the second round of the NFL Draft by the Green Bay Packers in 2005, going on to earn three Pro Bowl appearances and scoring a touchdown in the Packers’ Super Bowl XLV victory over the Pittsburgh Steelers. After retiring in 2015, Collins was named to the Green Bay Packers Hall of Fame in 2016. He is the son of former Wildcats quarterback Willie Collins, a consensus choice of the coaches of his era as one of the greatest athletes to ever lead a Bethune-Cookman football team. Chartric Darby, South Carolina State: Chartric “Chuck” Darby is hailed as one of the best defensive players in South Carolina State football history. A four-year starter from 1994-97, he was named First Team All-MEAC (1996 and 1997). Darby was also named an All-American in 1997 by The Sporting News and the Sheridan Broadcasting Network. He set school and MEAC records for career sacks with 40.5, and his 22 sacks in 1997 are also a school record. During Darby’s playing days, the Bulldogs went a combined 29-15 – including a 10-2 mark in 1994, when South Carolina State defeated Grambling State in the Heritage Bowl and were named Black College National Champions. He was the Heritage Bowl Defensive Player of the Game after recording five sacks in that contest, and Darby was inducted into the South Carolina State Athletic Hall of Fame in 2006. In 2007, he was named to the Bulldog Centennial Football Team. Darby signed as a free agent with the Tampa Bay Buccaneers in 2001, spending four seasons with the team and winning Super Bowl XXXVII. In an 11-year NFL career, Darby also played for the Seattle Seahawks and Detroit Lions. Charlene Johnson, South Carolina State: Charlene Johnson played basketball for South Carolina State University, helping the Lady Bulldogs win the 1979 AIAW National Championship, but after graduating, she gave over three decades of service to the university as an administrator. In addition to serving as an assistant coach with the women’s basketball program, Johnson was also head coach of the volleyball and women’s tennis programs, becoming the first woman to serve as a full-time head coach at South Carolina State. She was the 1986 MEAC Coach of the Year in tennis, and she was named the conference’s Coach of the Year in volleyball in 1990 after leading the Lady Bulldogs to their first MEAC championship. Johnson also served the university as Associate Athletics Director and Senior Woman Administrator, and she twice served as Interim Director of Athletics before being named to the position on a permanent basis in 2004. She served as Director of Athletics at her alma mater for 11 years, the first woman to serve in that capacity at the school and the first woman to serve as Chairperson of the MEAC’s Directors of Athletics. A 1998 inductee into the South Carolina State Athletic Hall of Fame, Johnson served on both the NCAA Div. I Football Championship Committee and the Women’s Volleyball Championship Committee. Ja Nina Lee, Morgan State: Ja Nina Lee is one of the most dominant middle hitters in MEAC history, and she helped the Morgan State volleyball program create a championship pedigree in the conference. After being named MEAC Rookie of the Year and Second Team All-MEAC in 1994, she was a First Team All-MEAC selection as a sophomore the following season – leading the Lady Bears to the MEAC title and leading the conference in blocks. Lee was the Most Outstanding Performer in the 1995 MEAC Volleyball Championship, and she helped lead Morgan State to its second MEAC title in 1998, earning First Team All-MEAC and All-Tournament Team honors. Lee’s team became the first HBCU to earn a spot in the NCAA Div. I Volleyball Tournament, and she finished her career with a school-record 512 blocks, a school-record 235 service aces and 921 digs. In the spring, the Bedford Hills, N.Y. native played softball at Morgan State as a pitcher and catcher. Jay Walker, Howard: Jay Walker is one of the most prolific football names in Howard history; after transferring to the Bison from Long Beach State, Walker was a two-time First Team All-MEAC selection and the conference’s Offensive Player of the Year in 1993. That season, the Bison went undefeated en route to winning MEAC and Black College National Championships. He passed for 3,324 yards in 1993, which ranks as the second-highest single-season total in MEAC history, and his 223 completions that season rank fifth in conference history. He also threw 24 touchdown passes in 1993, tying for the sixth-highest single-season total in MEAC history. In 2005, Walker was inducted into the Howard University Athletics Hall of Fame. A seventh-round draft pick in 1994 by the New England Patriots, Walker played in the NFL for four seasons (two for the Patriots and two for the Minnesota Vikings). He has served on the Maryland House of Delegates since 2007, and he currently works as a college football analyst for ESPN.